Heat you smoker to between 225 and 250. Mix 1 quart equal parts Worcestershire sauce and white grape juice and liberally inject the mixture into the loin meat on top of the ribs. 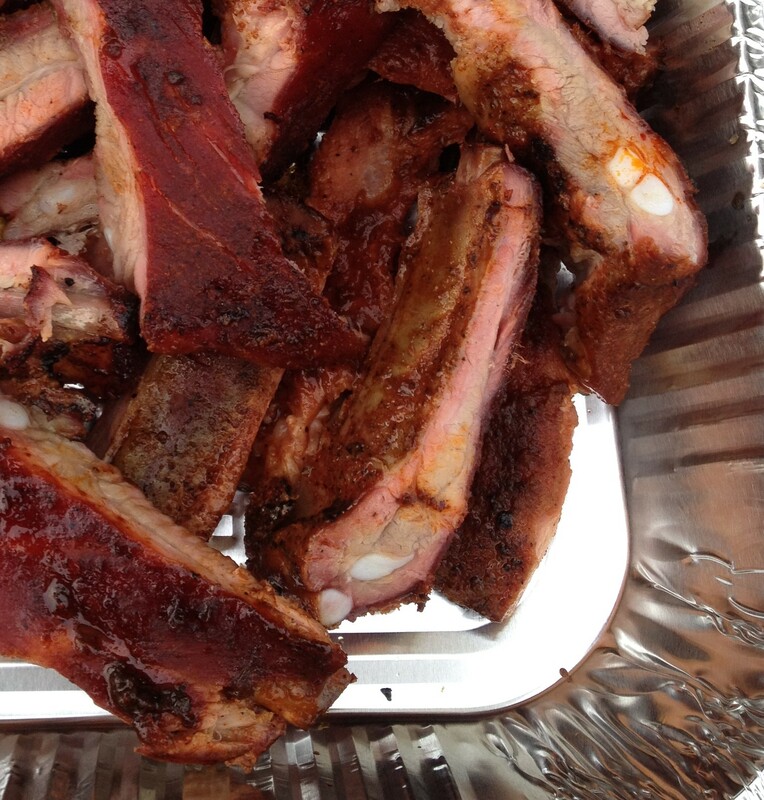 Pull your ribs and place them in heavy duty aluminum foil. Pour ½ cup of citrus juice on the ribs. (I prefer pineapple juice.) Wrap the ribs in the foil and cook for another 2 hours. Open the foil packet but do not remove the ribs. And cook for another 2 to 3 hours depending on your tenderness preference. During this step, glaze your ribs every 30 minutes with Bentley’s Batch 5 Reserve Barbecue Sauce. Tags: Bentley's Batch 5 Baby Back Ribs	.